Public Choice Winners revealed on European Music Awards Night at ESNS! 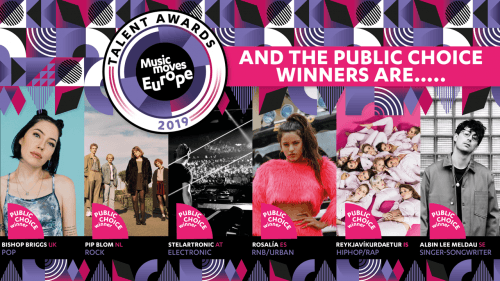 At a festive award ceremony, in the presence of EU Commissioner for Culture Tibor Navracsics, the Public Choice Winners of the Music Moves Europe Talent Awards have been revealed at ESNS 2019’s European Music Awards Night. The jury previously selected twelve winners in six categories, who represent the European sound of today and tomorrow. The Music Moves Europe Talent Awards are the new European Union Prize for popular and contemporary music. These are the very first winners at the Music Moves Europe Talent Awards. 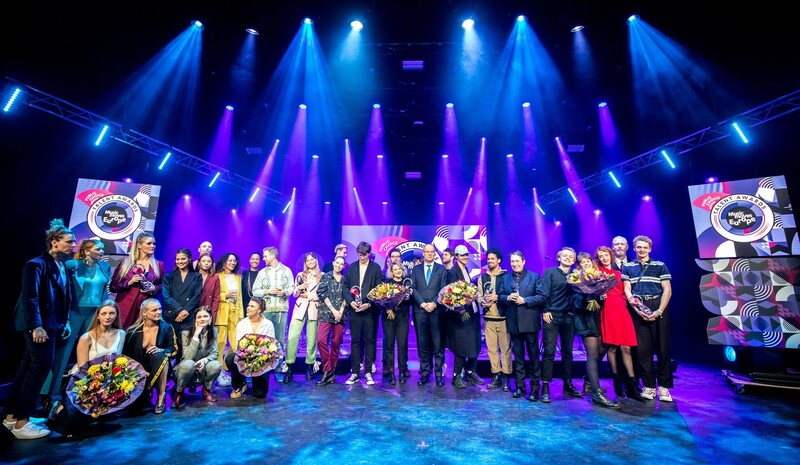 ESNS 19 celebrated emerging European artists at the award night at de Oosterpoort in Groningen, with performances by Bishop Briggs, Pip Blom, Reykjavíkurdætur, Albin Lee Meldau, blackwave. Avec and Lxandra. The aim of the Music Moves Europe Talent Awards is to celebrate new and upcoming artists from Europe and support them in order to help them develop and accelerate their international careers. Therefore, the prize package consists of €5000 tour and promotion support, several performances at ESNS, free publicity and a tailor made training programme. Read more. Find all information for press on our Media Page.